.We are currently monitoring the outcome of the 7th January meeting between the Federal Government and ASUU. Here are the current updates from the venue of the meeting. 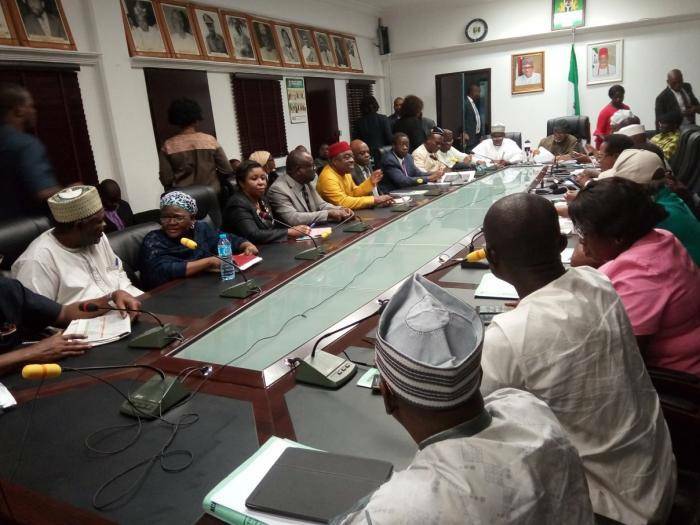 The meeting began at about 4:30pm, when ASUU delegation arrived at the Labour Ministry. When the FG delegation arrived, they were led by Minister of Labour and Employment, Chris Ngige, in the absence of the Minister of Education, Adamu Adamu. Also in attendance were the Permanent Secretary of Federal Ministry of Education, Sunny Echono; the national president of the Nigeria Labour Congress, Ayuba Wabba; and officials from the National Universities Commission, Head of Service and Salaries, Wages and Income commission. While declaring the meeting started, Mr Ngige expressed optimism that the outcome of the meeting will be fruitful, as the Government has done a lot of work since the last meeting in 2018, saying that his hope is for students to return to the classroom as soon as possible, pointing out that non of his children are schooling abroad. FG has reached an agreement with ASUU to release N15.4bn for salary shortfall. Mr Ngige also pointed out that FG is also in the process of releasing another N20 billion for payment of earned allowances for university lecturers. The ASUU President on his own part says he will take the new Government propositions to members of the Union, and only then will the decision to either call the strike or continue with it, will be reached. ASUU is expected to return back to Government between Wednesday, 9th or Thursday, 10th January, 2019 to sign relevant agreements reached by the parties.